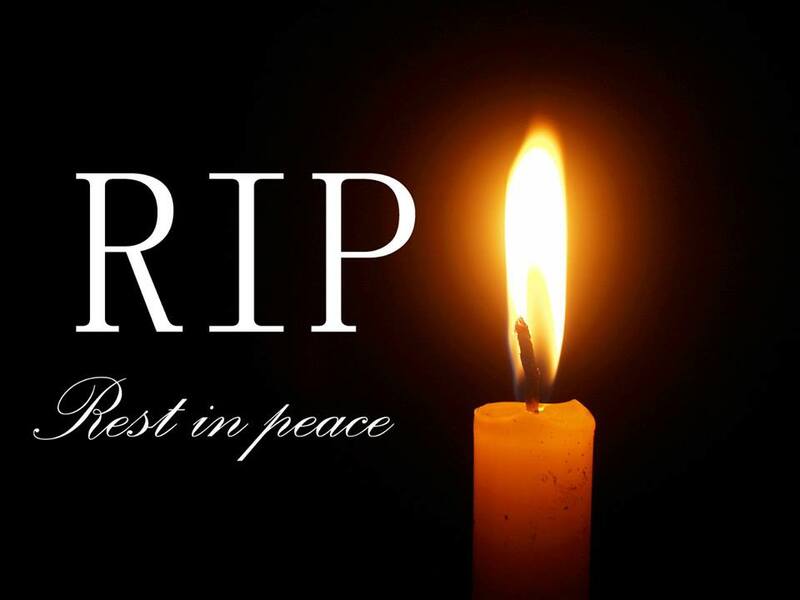 The phrase “Rest in Peace” is one of the most misused phrases in the world. The phrase is used not only by believers even unbelievers across the globe whenever someone died. Meanwhile, majority of those who use the phrase never knew the genesis of it and whether it is biblical or not. My personal opinion is that I can't say "Rest in peace” for the dead. Biblically it is wrong, neither the prayer which Bible condemned nor greeting which Bible says we must not say to the dead. I can only pray for the family left behind. No prayer or greeting for the dead. 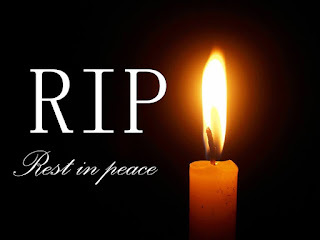 To argue for or against the opinion if it is biblical enough to pray for the dead especially with the “Rest In Peace” prayer, I will like to begin with the historical usage of this term commonly written in the acronym RIP. According to a research made, the acronym R.I.P., though containing the same initial letters as the phrase “Rest in Peace”, originates from a Latin phrase with the same meaning: requiescat in pace, “may (the deceased person) rest in peace.” The Latin phrase began appearing on Christian gravestones in the 8th century and was widespread on Christian grave markers by the 18th century. In this early use, rest in peace (as requiescat in pace) was a prayer or wish that the soul of the deceased would find eternal peace in Heaven. Catholic burial services in particular still incorporate the original Latin requiescat in pace in this way. Furthermore, it is more common today to find Rest in Peace or R.I.P. on gravestones and in funeral services than its Latin parent. The acronym R.I.P. appeared first in 1613 as an abbreviation for requiescat in pace, then in 1681 for rest in peace. The early Christian culture, however, was drawn from mainly the teaching of the Lord Jesus Christ and partly from Judaism influence. Thus many of the New Testament themes can be traced to the roots. In the Old Testament, a befitting burial is given to most especially aged departed ones. But in no wise will you found prayers made for the dead. Because there is no repentance in the grave, but the belief is that whatever a man does when living will determined his lots in the afterlife (Eccl. 9:10). In the same vein, the New Testament adjudged that judgment is inevitable after death (Heb. 9:27). If the early Christians could not be praying for the dead, because they also reject the act of praying to the dead (a necromancy), it is against the will of God and the Israelites were sternly warned against such a practice (Lev. 19:28; Deut. 14:1). God specifically mentioned the prohibition of consulting a necromancer in Deuteronomy 18:11 and in verse 12 we are informed why God drove the Canaanites out of the land and thus warned Israel not to repeat such sins. Nevertheless, as I have earlier mentioned, the practice praying for the dead in the Christian church does not originated with the early Christians but was adopted by the Catholics and since then the naïve ones among the Protestant church gullibly fell for the practice once protested against by the reformers like Luther and Calvin. Although, it is now popular to hear or see people saying or writing RIP as a prayer for the departed ones, yet in the liturgy of Christ Apostolic Church you can never see a reference to any prayer for the dead but messages which the bereaved families could deduced in the funeral service for their own preparation. Thus we could only pray for the family are loved ones the deceased left behind. As I conclude, I opined that it is an heresy to pray for the dead even with the RIP tradition, because none of our prayers can change the reality awaiting the deceased in the afterlife. If any man failed to be found in the Prince of Peace (Jesus Christ) in this life, no amount of prayers will qualify him when he would not be chanced to make amendment. You can only condole with the family or loved ones left behind and give them word of encouragement base on the promise of the Lord Jesus Christ for those who believes in Him (the Owner of life). It's the world system not from the bible. There is no need to respect the dead or say RIP because once man dies his body decomposes similar to animals but his soul faces judgement. Question: "What does the Bible say about praying for the dead?" Often, people who have lost a loved one are encouraged to pray for those who have passed away and for their families. Of course, we should pray for those grieving, but for the dead, NO! No one should ever believe that someone may be able to pray for him, thereby effecting some kind of favorable outcome, after he has died. The Bible teaches that the eternal state of mankind is determined by our actions during our lives on earth. “The soul who sins is the one who will die. . . . The righteousness of the righteous man will be credited to him, and the wickedness of the wicked will be charged against him” (Ezekiel 18:20). The writer to the Hebrews tells us, “Just as man is destined to die once, and after that to face judgment” (Hebrews 9:27). Here we understand that no change in one’s spiritual condition can be made following his death—either by himself or through the efforts of others. If it is useless to pray for the living, who are committing “a sin that leads to death” (1 John 5:16), i.e., continual sin without seeking God’s forgiveness, how could prayer for those who are already dead benefit them, since there is no post-mortem plan of salvation? It is natural to have a desire to pray in times of pain, suffering, and loss of loved ones and friends, but we know the boundaries of valid prayer as revealed in the Bible. The Bible is the only official prayer manual, and it teaches that prayers for the dead are futile. Yet we find the practice of praying for the dead observed in certain areas of “Christendom.” Roman Catholic theology, for example, allows for prayers both to the dead and on behalf of them. But even Catholic authorities admit that there is no explicit authorization for prayers on behalf of the dead in the sixty-six books of canonical Scripture. Instead, they appeal to the Apocrypha (2 Maccabees 12:45), church tradition, the decree of the Council of Trent, etc., to defend the practice. The Bible teaches that those who have yielded to the Savior’s will (Hebrews 5:8-9) enter directly and immediately into the presence of the Lord after death (Luke 23:43; Philippians 1:23; 2 Corinthians 5:6, 8). What need, then, do they have for the prayers of people on the earth? While we sympathize with those who have lost dear ones, we must bear in mind that “now is the time of God’s favor, now is the day of salvation” (2 Corinthians 6:2). While the context refers to the gospel age as a whole, the verse is fitting for any individual who is unprepared to face the inevitable—death and the judgment that follows (Romans 5:12; 1 Corinthians 15:26; Hebrews 9:27). Death is final, and after that, no amount of praying will avail a person of the salvation he has rejected in life. There are three ways this question usually comes up but two will be discussed. The first is related to the Catholic belief in Purgatory. The second refers to a misunderstanding of Jesus' proclamation in Sheol between His death and resurrection. The third is more personal and more ambiguous. The Roman Catholic Church teaches that some Christ-followers who have died will spend time in a holding place, Purgatory, before they can enter heaven. These are people who died having committed venial sins that were not sufficiently atoned for. Roman Catholics are encouraged to pray for those in Purgatory so that their suffering will be eased and their time shortened. Since Purgatory does not actually exist, it is foolish to pray for anyone affiliated with it. The second case is when a believer prays that an unbeliever who has died will accept Christ in the afterlife. Unfortunately, this is not possible. People do not receive a second chance to repent after they have died. If they did, the rich man in Luke 16:19-31 would have asked forgiveness for himself, not his brothers. And Hebrews 9:27 agrees, saying, "just as it is appointed for man to die once, and after that comes judgment." But 1 Peter 3:18-19 adds confusion to the argument. It says that between the crucifixion and the resurrection, Jesus "proclaimed to the spirits in prison." The prison in question is generally regarded to be the holding place for demons who sinned so egregiously God removed them from earth. The word translated "preach" means to herald a message. Jesus announced that He had conquered Satan and his forces, but He did not offer life to people who had already died rejecting Him. So, the Bible tells us there is no Purgatory and there is no second chance at salvation after death; it follows that it is useless to pray for the dead as related to these topics. As much as i Love the statement of the pastor that took us through research in the artist let. Kudos to him. Ill like to ask. The phrase "Rest in Peace" is a prayer for the dead or a Statement at the deceased place. Because all prayer is a statement but not all statement are Prayer.